. استمتع بالخدمات الراقية والضيافة التي لا مثيل لها بهذا الفندق في كوينز تاون. هذه بعض الخدمات الموجودة في هذا الفندق: مجهز لذوي الإحتياجات الخاصة, مطبخ, مكتب الاستقبال على مدار الساعة, مرافق مخصصة لذوي الاحتياجات الخاصة, تخزين الأمتعة. تتضمن كل غرف النزلاء وسائل الراحة والتسلية المصممة خصيصاً لضمان الراحة القصوى للضيوف. يقدم الفندق خدمات رائعة كمثل ساونا, التزلج على الجليد, سبا, بلياردو, ركوب الخيل لمساعدتك على الاسترخاء بعد نهار طويل من النشاط والتجوال في المدينة. 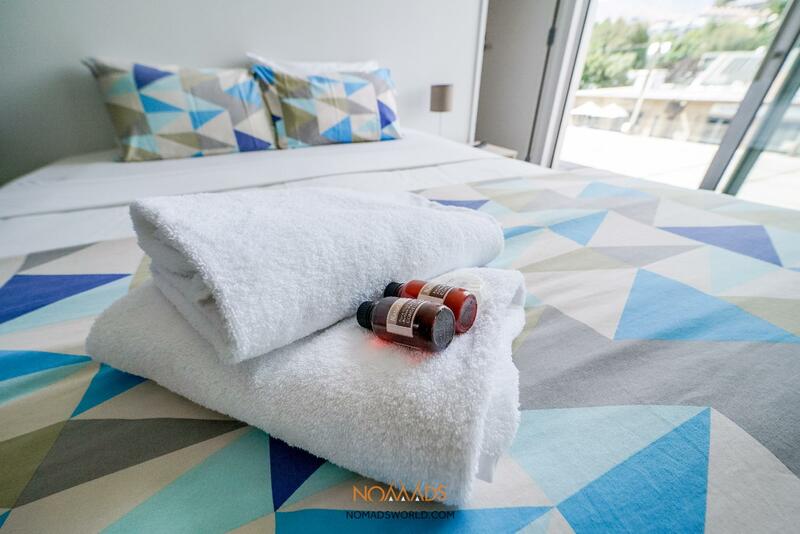 يحظى فندق Nomads Queenstown Hotel بموقع ممتاز وخدمات يصعب منافستها. Location great, right in the middle of town. Clean, tidy, modern, stylish. Lots of competition for limited cooking and laundry facilities, and slight smell of smoke drawn to aircon in from nearby pizza place were very small niggles. Pretty dirty (staff was cleaning, but visitors were mostly pretty young and not caring) kitchen and many things were broken/not working. Also many visitors were drunk. Apart from that it is a nice place with free pool and a large chillout area. Clean and absolutely beautiful location. But party on going at Saturday night. Could be acceptable but plz not after midnight. Kept waking me up. 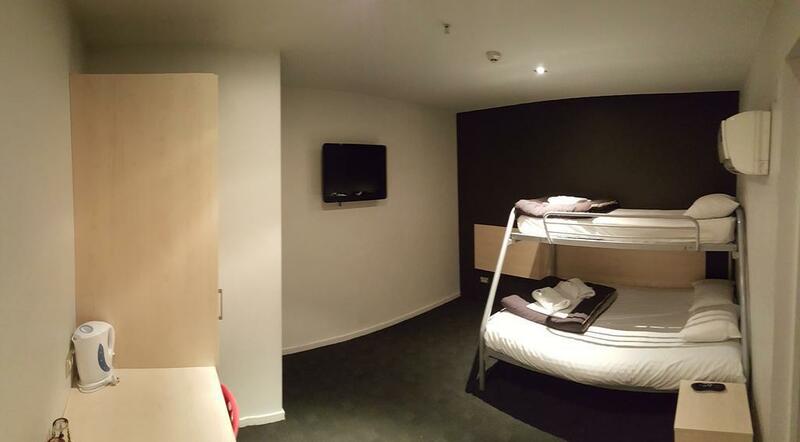 Otherwise, cheap, tidy hostel. 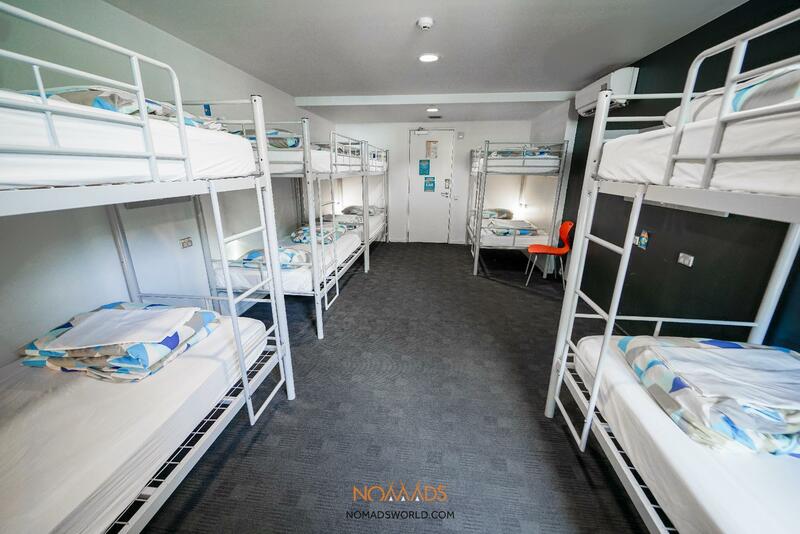 8-people dorm is clean and spacious. 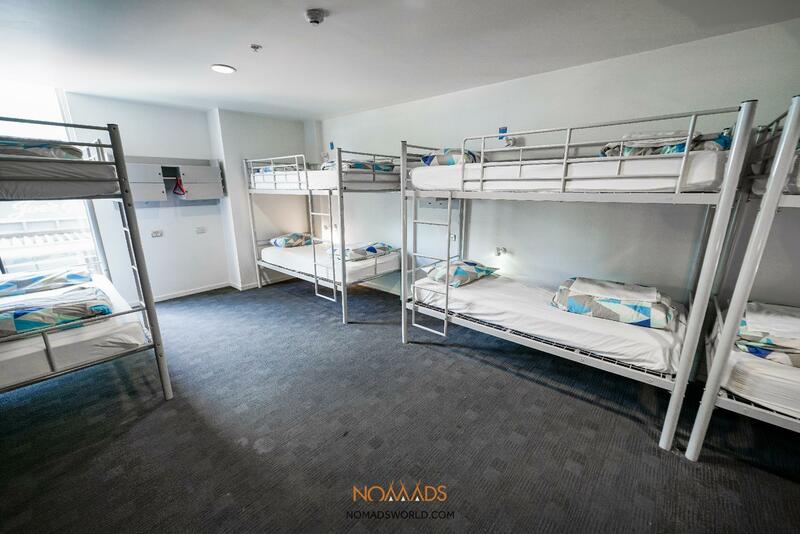 Each bed has their own power socket. Sufficient bathrooms and toilet but sometimes the toilet can be quite dirty. Walking distance to the atrractions. Wifi is good only in reception area but not in the room. Receptionists are helpful. The room is clean but got bed bug!!! Me n my friends all bite by bed bug at the night. The kitchen & bathroom is dirty because too many ppl using them. Great location but hope can solve the bed bug problem. Hi Ta Thank you for your review. And I would like to clarify your complaint. We do not have bed bugs. I have gone to the room that all of your group stayed in, investigated every bed, duvet and curtain in that room and there is no evidence of bed bugs. Sometimes people get confused between bed bug bites and sandfly bites. Sandflies are rampent in Queenstown and the surrounds if you are near water. We also did not receive any complaint from you to reception when you stayed here. If have strict policy on bed bugs and all staff are trained in order to detect and do preventative messures. If you are concerned on any bites I suggest you speak to a pharmacy. 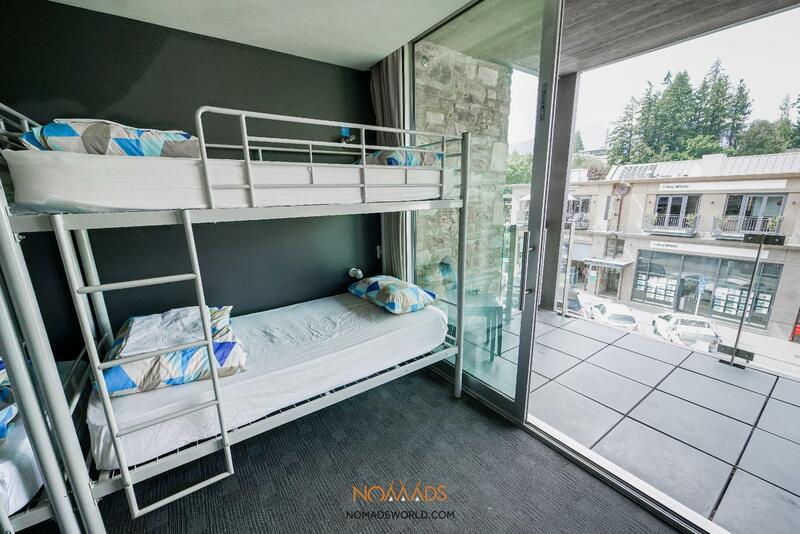 Location is excellent and room has a balcony, fridge , kettle and private bathroom. Room on 3 Rd floor quiet with patio door closed. Staff super friendly. Negatives: Air con needs recharge and non adjustable from the room. No service except for garbage removal with a four night stay. Complimentary wifi super slow as no password given for guest access. Hostel kitchen too small also laundry. 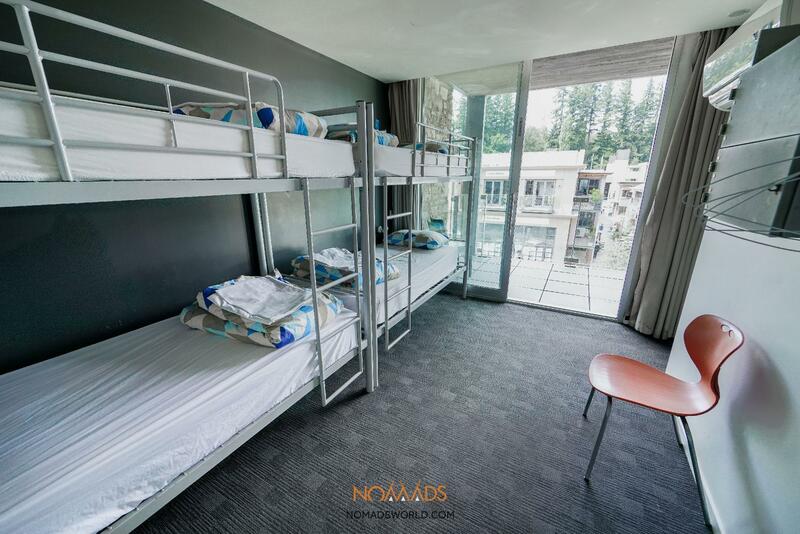 Very good location, in the cbd of queenstown, walking distance to the lake and all nice restaurants surrounding. Nice room, a bit pricy (maybe i travel during very busy period), no wifi, paid wifi but still very slow. 24/7 reception, street parking not owned by hotel, need to try your luck if during busy period. But generally a good place. Location is in town center and near garden. Parking is a problem but you can park at the park which is just a short walk to the hotel. Nice place to stay and shop. Things in Queenstown are cheaper than other town. Thank you for taking the time to leave your review. Apologies, the sauna is open until 10pm daily, your room keys should get you in there however reception could help you with this issue. I have sent a reminder to all staff on being more aware of online payments. Apologies for the inconvenience. We hope to see you again. Stayed in an ensuite. The beds were decent (two single beds pushed together), spacious room and shared balcony was a bonus. However, plenty of areas for improvement - Our beds were not made, toiletries not refilled and floors not cleaned when we were out. The only evidence housekeeping was in our room was the replenished toilet paper. The bars next door blasted music till 3am but reception provides ear plugs for that. There were no shelves to place toiletries, we placed a chair under the sink to fix that. TV and aircon had to managed manually, no remote control in sight. Didnt use the faciities (foosball table, kitchen, laundry). Oh and the blackout curtains were much appreciated! Everything is very very very good! I will be back here if I visit Queenstown again!